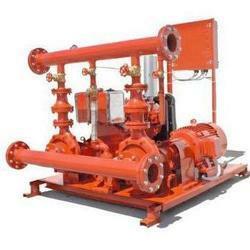 Different pumps specifications for fire protection. UNIVERSAL Fire providing requirements for the selection and installation of pumps to ensure that systems will work as intended to deliver adequate and reliable water supplies in a fire emergency and meets code & standard requirements. 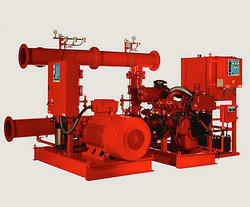 We are the foremost choice of the market and provide superior quality range of Emergency Fire Pumps. Our superlative products are known in the market for their high capacity and longer sustainability.These are quality assured, sustainable and are provide for various requirements. With the support of experts, we have been competent to provide our valued patrons the best quality range of Fire Fighter Pump.